There are a handful of Nigerian Filmmakers that would make me visit the cinema to watch a film just by making it. A handful – and Muyiwa Aluko is on that list. That being said, I’ve known Muyiwa for his corny type, get you in your feelings Romantic Dramas, even though, he’s recently diverted to other genres. His most recent offering being the Comedy – Bandits. 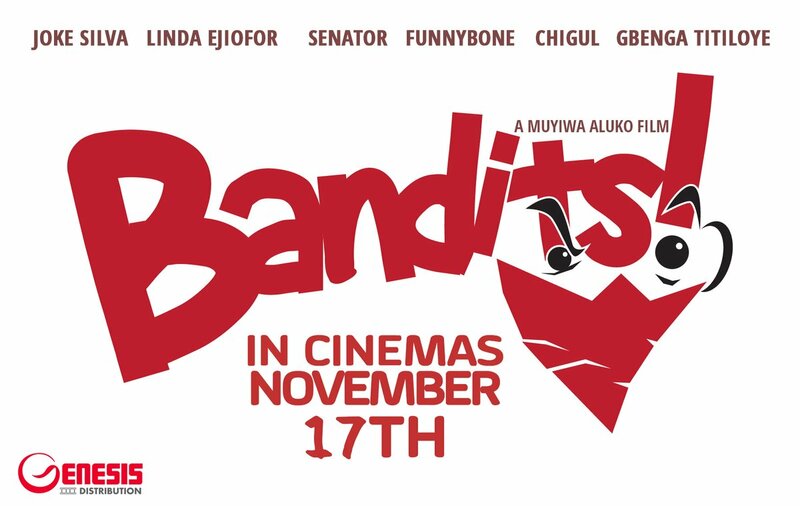 Bandits is a tale of a ‘down on his luck’ young Nigerian whose rich uncle (of which he’s the only relative) suddenly dies. As the unlucky individual that he is, his uncle only leaves him a painting from his fortune, which he sells before realizing ‘its true worth’. Consequently, he has to try to get the painting back from a third party, after the gallery he sold it to, has already re-sold. Sounds familiar right? I’m certain some of the themes in Bandits are things you have encountered in the numerous heist comedies Hollywood has released in the past – not that it necessarily takes away from the film. What did I expect going in? Nothing. Absolutely NOTHING! As a person who constantly watches Nigerian films in the Cinema and documents my opinions on them, I have learnt not to expect much from Nigerian Comedies – even though this is the most loved and most successful genre for Nigerians. Did Bandits manage to change my mind about Nigerian Comedies? Well, not really. I do believe it was a step above a good number of them – it had genuinely nice comedic moments, followed through with its story (though this was riddled with illogical progression at times), and had some very surprisingly good performances – though in the end it wasn’t spectacular enough to change how I feel. There were technical issues – I was busy laughing to really notice, so that’s a good thing. What I really think worked was the chemistry between the two lead characters – Senator and Funnybone. They had good lines, and conveyed some of the humour using their expressions (not exactly subtext, but way better than slapstick) – making the experience a bit better delivered. Then I was genuinely surprised at how funny Linda’s comedic nuances were at some scenes. I really didn’t think she could deliver that well but it worked. On the flip side, there was a lot of unnecessary drama, the film could have ended pretty much half way through, and some performances just didn’t cut it. One thing I recommend though is this, go watch Bandits, it’s a fun comedy, but maybe go with a few fun loving friends, that way, you have an experience together. I know I had fun watching it, but to be honest, I want my Romantic Dramas back!